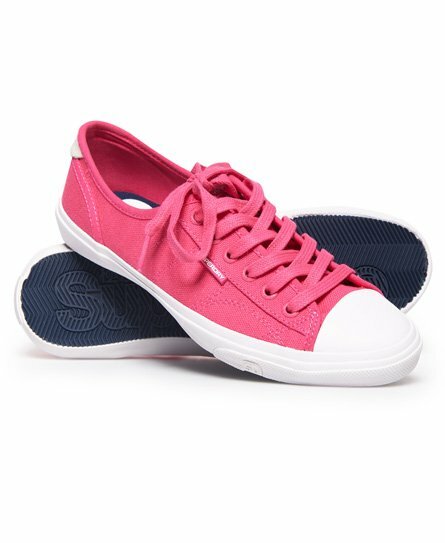 Superdry women’s Low Pro sneakers. Make these casual trainers your go-to this season and style them with most outfits. The Low Pro sneakers feature a lace fastening, a heel pull tab and a rubber Superdry logo tab on the side. The sneakers also have a branded sole and are finished with a Superdry logo tab on the tongue.